Tickets for the remaining performances, must be purchased at the Wyatt Pavilion Theatre. Box office opens one hour prior to the scheduled performance time. “Flora the Red Menace,” the first collaboration between the creators of “Cabaret” and “Chicago,” will be resurrected by the UC Davis Department of Theatre and Dance. The musical by Tony Award winners John Kander and Fred Ebb will be presented in the Wyatt Pavilion Theatre Feb. 28 – March 9. The musical is set in 1935 when the world faces an uncertain political and economic future. At the height of the Depression, the government-funded Federal Theatre Project gathers a group of performers to tell the story of optimistic Flora Meszaros, a newly graduated art student. She embarks on a career as a fashion illustrator in Manhattan and soon falls in love with Harry, a fellow artist. But her beloved turns out to be an idealistic communist. 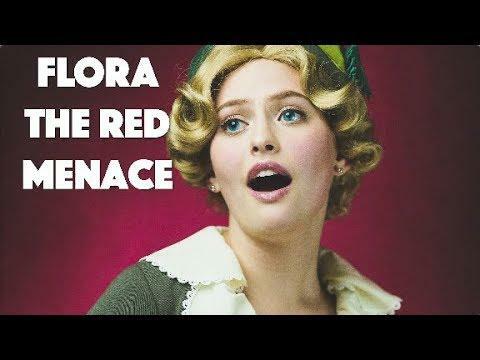 Is Flora herself a “red menace” or just that good old Broadway standby: a girl in love? A disappointment in its original run, the musical resurfaced in 1987 at off-Broadway’s Vineyard Theatre with a revised book by David Thompson from the novel “Love is Just Around the Corner” by Lester Atwell, originally adapted by George Abbott. “We are so pleased to help audiences rediscover this story and these infectious songs. The show is a love letter to theatre,” said Cooper. Post-show talk backs about the musical are Feb. 28 and March 7 and led by graduate student Joseph Schupbach, the production’s dramaturg. Performances are at 7 p.m. Thursdays and Fridays and 2 p.m. and 7 p.m. on Saturdays. General admission tickets are $18.50, faculty/staff tickets are $17, and student/senior tickets are $12. Tickets may be purchased at the UC Davis Ticket Office, located on the north side of Aggie Stadium, 10 a.m. to 5 p.m. Monday through Friday, by phone (530) 752-2471 during the same hours, or online at theatredance.ucdavis.edu. For information about future performances at the UC Davis College of Letters and Science’s Department of Theatre and Dance, visit theatredance.ucdavis.edu.